The historic village of Appledore can trace its history back to Viking times when it was a bustling port. Nowadays, things have quieted down and it provides locals and visitors alike with a quaint English feel, scenic countryside and of course – The Black Lion pub. We have actually restored the cowls on the Hop Pickers Oast guest house (pictured) so we can vouch for just how stunning the location is! 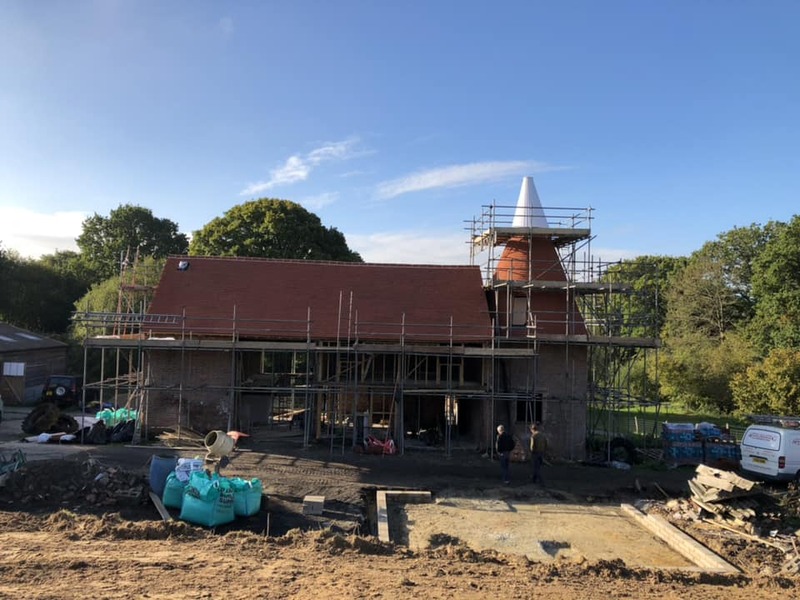 If you’re looking for an oast house holiday with plenty of local history, the village of Sedlescombe could be the perfect spot. You’ll be just a short hop from the historic site of the Battle of Hastings which was fought in 1066 between the Norman-French and English armies. The whole family are sure to enjoy the gory details of the fight, and there’s plenty of museums dedicated to the event. Children will love the old Smugglers Caves located in the West Hill area of the town and the tourist attraction allows you to explore the winding labyrinth – but expect a few surprises along the way! 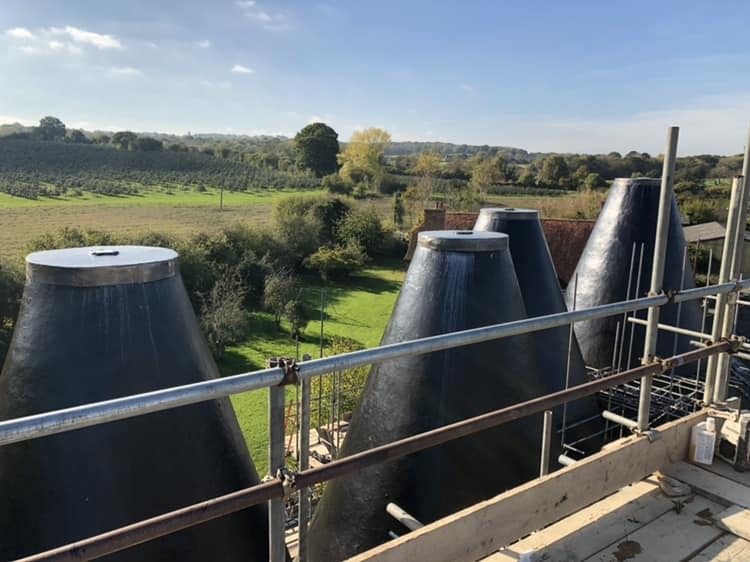 Wine buffs are sure to enjoy Sedlescombe and for a special treat, why not book a tour and tasting of the local vineyard who create award-winning sparkling wines. The hamlet of Newenden was first documented in history in AD 791 and there is pre-Roman fort in the near hillside which could indicate settlement even before this date. The parish church of St Peter has an original Saxon carving which is an attraction to visitors in itself! In the 16th century there were no less than 16 public houses located in the village, but understandable only one now remains – The White Hart, which is popular for both a pint of local ale and home cooked pub grub. Close by is the Medieval Bodiam Castle, accessible both by road and via a boat trip from the Newenden bridge in the village. This 14th century moated castle is well worth a visit and although the interior has been destroyed by the various wars over the years, the exterior rises proudly from the water, flanked by acres of manicured grounds. 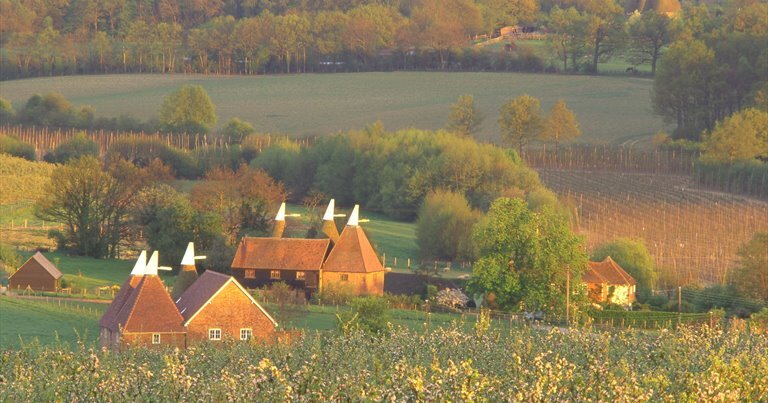 Get in touch and tell us about any memories of oast house holidays. All hail the Tally Man! 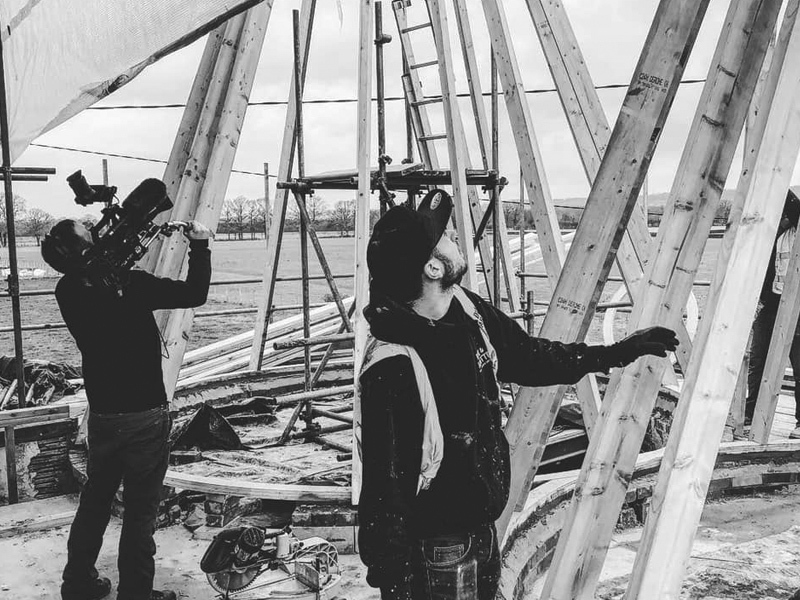 Not a phrase you hear often these days, but get ready ladies and gents as we’re taking things old skool, bringing back one of the ancient traditions of working Oast Houses. The Tally stick is back. If you’re not familiar with the term then let us enlighten you. In the early 1900s, a ‘Tally Man’ would visit the Oast Houses and note down the amount of hops they were picking and brewing, and mark this on a tally stick. 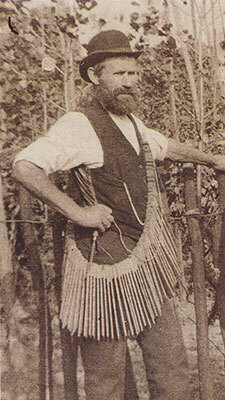 At the end of the picking season he would then exchange the tally stick for tokens which could be redeemed by the grower for goods such as new clothes and boots. 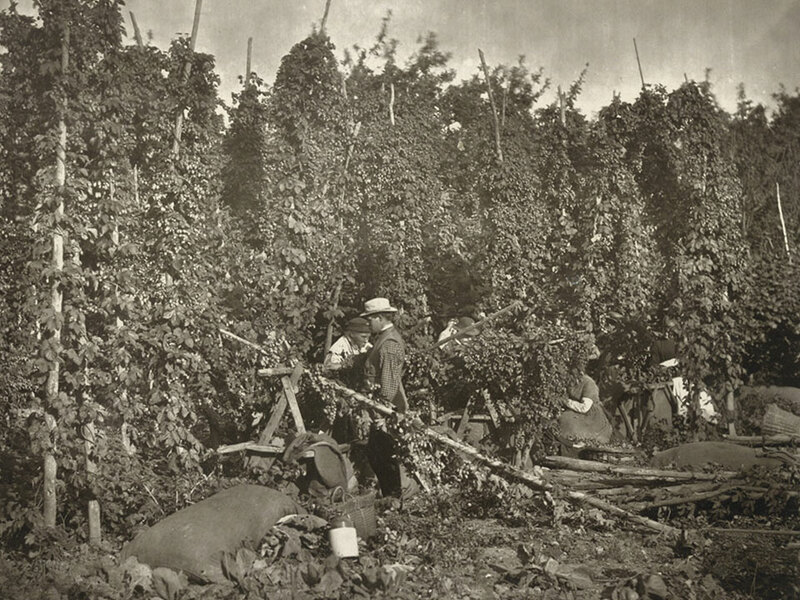 Designing elaborate hop tokens became something of a competition between hop growers, and they are much sought after by local museums. 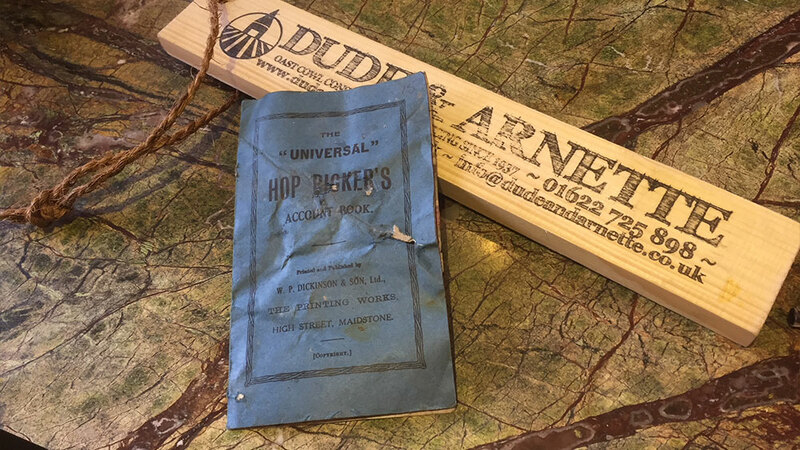 The Tally Stick process was later replaced by hop picker books, but not ones to let a good tradition go, we at Dude and Arnette have crafted our very own tally sticks which we use to record services on the Oast Houses we restore and revamp on across the country. 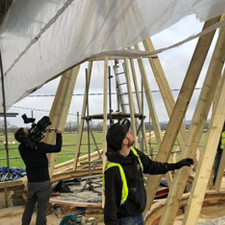 We then leave the stick with the Oast House owners and it serves as a handy reminder of when we last visited and reminds them, and whoever takes over the property to keep their cowls in top condition! 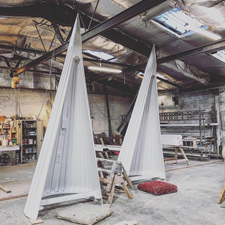 Our team are passionate about the history behind hops, and being in the business since 1937 it’s important to us to bring some of the old history back to life whenever we can! So next time you visit an Oast House, ask to see their Tally Stick – and if they don’t have one? Send them our way! The word village conjures up nostalgic images of cobbled streets, thatched cottages, local boozers and of course, Oast Houses. 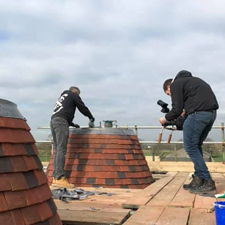 Being the UK’s leading experts in all things Oast, when Channel 4 launched their search for the Village of the Year 2017 they came to us to learn the history of oast cowls and Kent Peg Tiles. With faces most definitely made for television, who were we to deny the public this education? 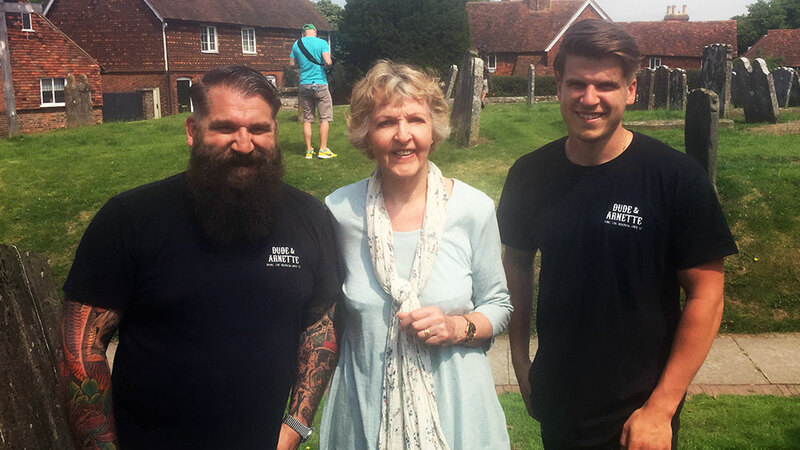 Off to Goudhurst we went and filmed a live and unscripted interview which was both terrifying and a great experience in equal measures. 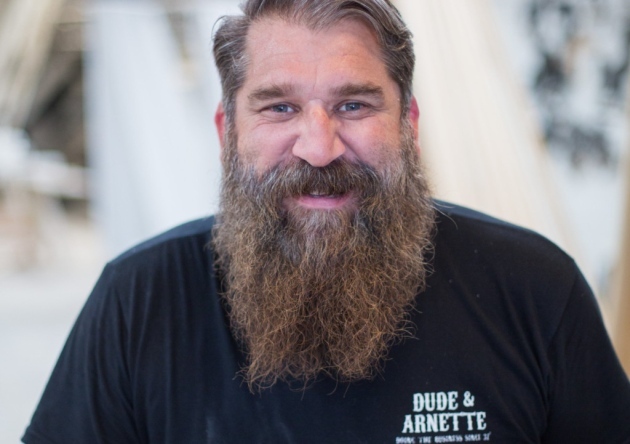 During the interview, our main man, Darren explained the history behind Dude & Arnette and also why we advocate the use of Tudor Roof Tiles in oast cowl refurbishment. These traditional peg tiles are handmade in Kent using methods which combine age-old craftsmanship with advanced firing techniques. 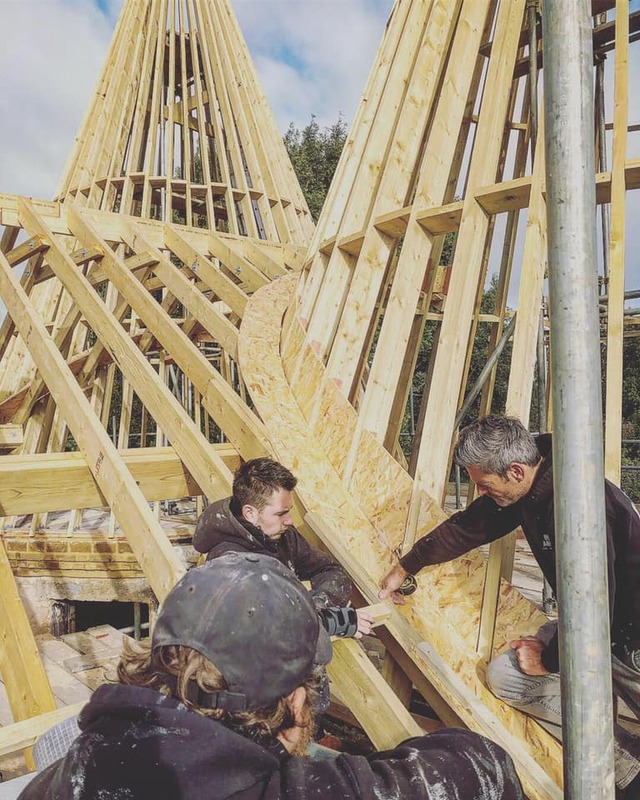 The process ensures each tile has its own unique colour and character and most importantly, allows the oast roof to continue to retain its authentic appearance. 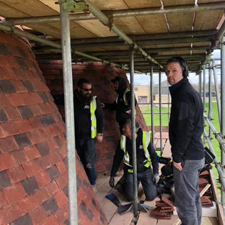 We install these ourselves, but when we are in need of assistance we often call upon award-winning Kent Peg Tiling company, Karl Terry who are specialists in restoring the roofs of heritage properties. The winning village will receive £10,000 towards a worthwhile community project. Make sure to keep an eye out for us when the show airs on the 23rd January let us know what you think! Our favourite Kent & Sussex Craft Beers – perfect for a festive pint. It’s not a secret that after a hard day’s work at Dude & Arnette HQ, we’re partial to a craft beer tipple, especially around the festive season. Pop a bit of Michael Bublé on the gramophone, and that’s our kind of party. 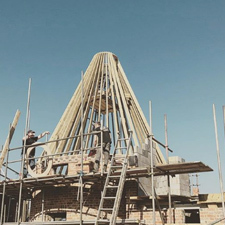 Traditionally, Oast Houses were designed for kilning (drying) hops as part of the brewing process so you could say we’ve got the amber nectar running through our veins (in more ways than one). 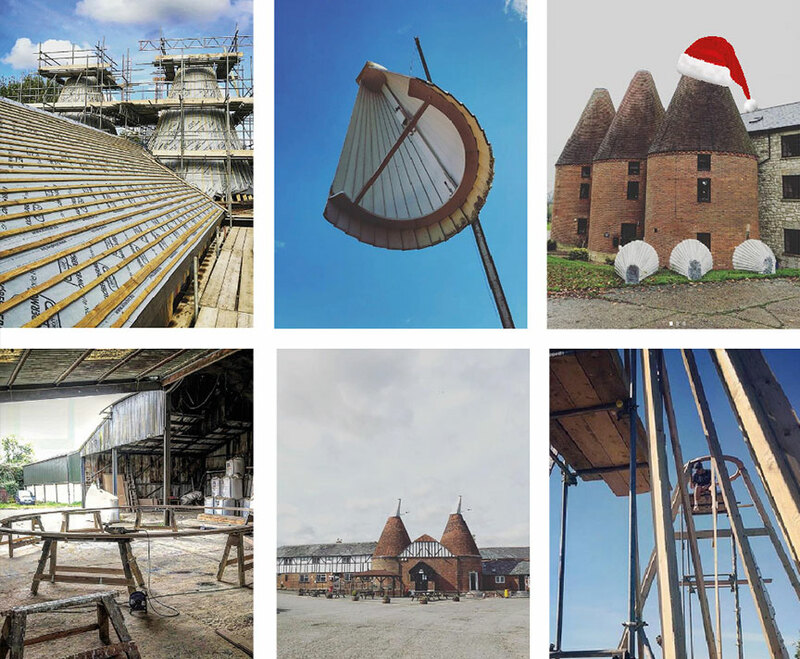 With the majority of Oast Houses located in Kent and Sussex, it’s no wonder that these regions are famed for their microbrewed craft beers, and in the spirit of Christmas, we’ve put together our favourites that we’ll be supping throughout the festivities. 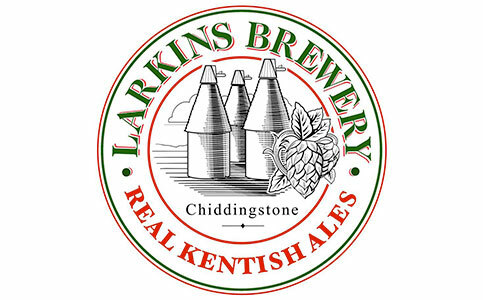 Specialising in traditional Kentish-style real ales, Larkins is a family run brewery based in the idyllic village of Chiddingston. Using only hops from the on site farm, they produce 3 traditional beers (Traditional, Pale and Best Bitter) alongside two guest brews which change with the seasons. 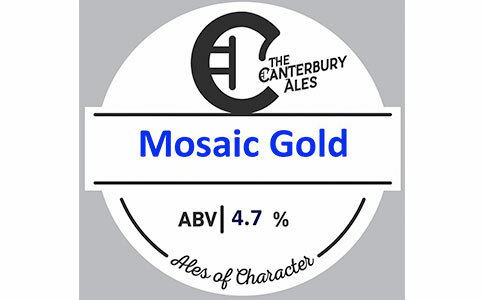 Available on tap in many of the independent pubs in Kent. Crazy name, kooky branding and delicious in taste, the Mad Cat Brewery are based in Faversham, where they’ve set up a microbrewery at Brogdale Farm. They’re on a mission to create something that will send your taste buds into ecstasy, and in their own words ‘if you want taste and flavour and a genuinely delicious experience then welcome to Mad Cat Brewery and the craft beer revolution’. With a range of ‘keepers’ and a couple of seasonal ales available, we’ll be enjoying a pint of ‘Santa Paws’ (4.5%) this Christmas. 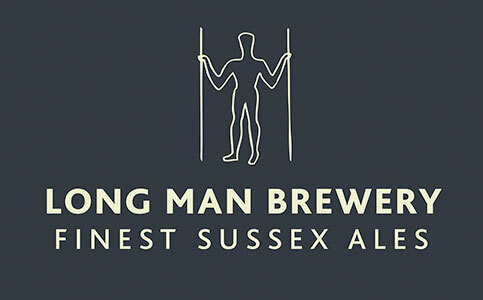 Tucked away on Church Farm in the hamlet of Litlington (near Alfriston) the Long Man Brewery derived their name from nearby popular walking attraction, ‘The Long Man of Wilmington’. In August their brew, ‘Old Man’ was declared ‘World’s Best Dark Mild Beer 2017’ at the World Beer Awards. 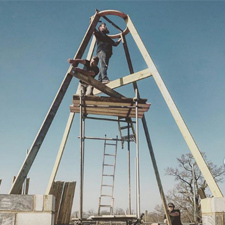 When moving into the farm they discovered that a document written in 1538 stated that Church Farm House had a ‘brew-house chamber’ as a part of the premises, so it’s safe to say there’s been plenty of ale through the ages, and Head Brewer, Jamie and his team are keen to continue the tradition for us thirsty folk to enjoy. 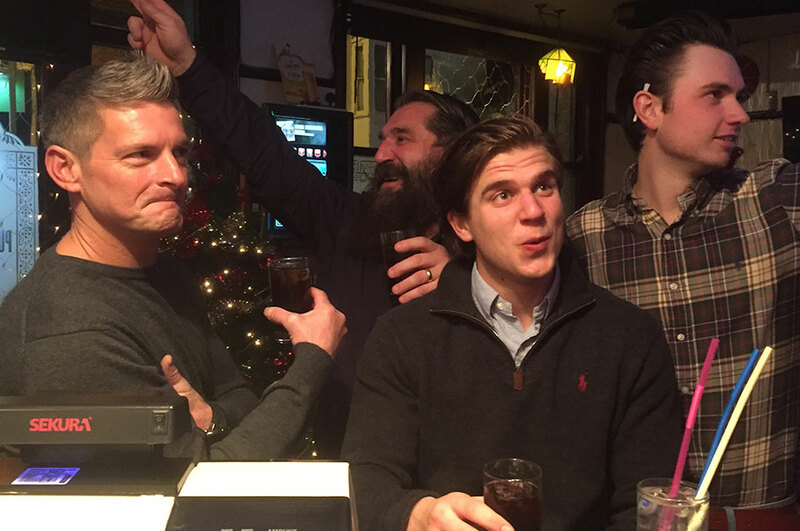 We couldn’t write a post about craft beer without mentioning the bearded, hipster, ale-drinking city of Brighton & Hove. 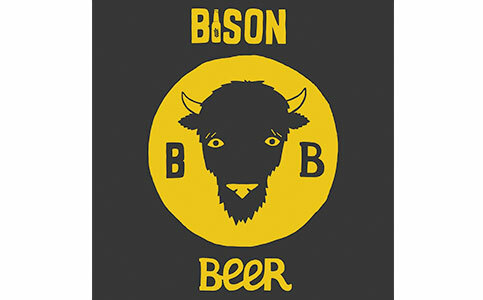 Mock the cost of a pint (or bottle) on the south coast all you like, but the guys over at Bison Beer are making waves throughout the south with their tasty brews such as ‘Tropic Soda’ 5.8% and ‘Stoutzilla’ 8.3%. As we’ve been very good boys this year, we’re hoping to find a few in our stockings this Christmas.